For fans of The Graveyard Book and Through the Woods comes a different kind of YA fantasy graphic novel, in which a teen boy's search for his destiny leads him into darkness. Lean, ghostly pale, and permanently grim-faced, Kriss has always been an outsider in his small village. Not even his adoptive parents love him. Only Anja, the blacksmith's daughter, brings kindness and friendship into the life of the sullen teenager. But Kriss is haunted by dim memories of his true father, Erikk Iron Tooth, the king of Darkovia. When Anja's mother is killed by a wild sabercat from the far north, the young girl's world is shattered, and Kriss determines to avenge her. Armed with only a pitchfork, the skinny teen sets out to kill the beast, only to learn that it's actually a dark spirit from Darkovia, come to bring him his destiny. 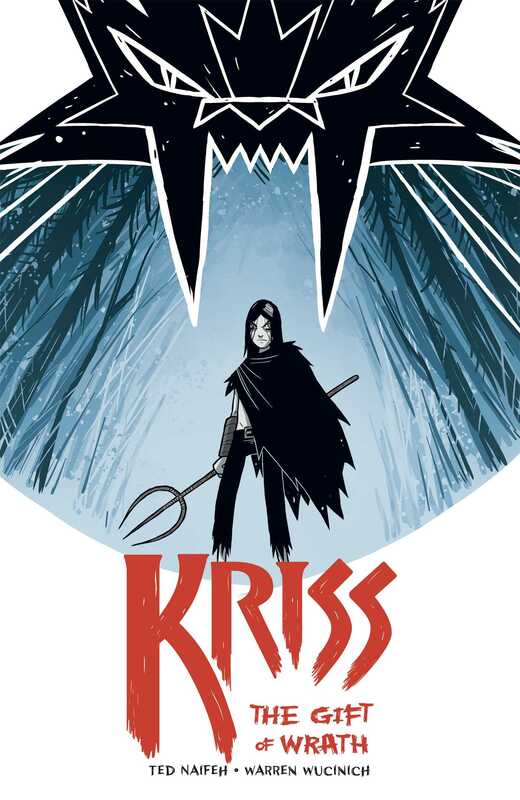 The spirit grants Kriss the power to vanquish the mightiest foes, and commands him to reclaim his father's kingdom. But his gift of power comes with a price — uncontrollable rage. And leaving the village would mean leaving Anja, the only person who's always been there for him. Kriss must choose between his destiny and Anja, who needs his friendship more than ever. But his growing power, and the fiery anger that comes with it, threatens to make the choice for him, and burn everything he holds dear.